Cranky Dorkfest DFW is coming! Here is everything you need to know, including how to buy raffle tickets. Due to airport rules, raffle tickets must be bought in advance. This year we’re going to have a raffle for some pretty exciting prizes. Each raffle ticket is just $5, and you can buy as many as you’d like to increase your chances of winning, but you have to buy them in advance. Half the proceeds will go to Challenge Air for Kids & Friends. If you’d like to buy tickets, you can do it right below here. (Keep in mind, you must be present when your name is called to win.) Or keep reading below that to hear more about the event. Raffle tickets must be bought in advance, so if you want to have a chance at prizes, make sure to pay above. I wanted to choose a local charity to benefit from the raffle, so I found Challenge Air for Kids & Friends which is based in Dallas. Challenge Air’s mission is “to build confidence and self-esteem in children and youth with special needs through the gift of flight.” It holds Fly Days in cities around the country with one in McKinney coming up on March 23. Half of all net proceeds from the raffle will go to Challenge Air. 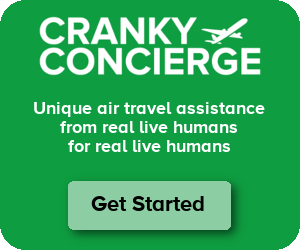 If you’d like to get involved as a pilot or volunteer, Challenge Air will be at Cranky Dorkfest with more information on how you can get involved. There will be food trucks from both Easy Slider (for, uh, sliders) and Ruthie’s Rolling Cafe (sandwiches) there. Please come hungry and enjoy the food while we watch airplanes. If you are coming from the airport, you can take a shuttle to the Remote North lot and walk just over a mile to Founders’ Plaza. You can also take TEXRail to the DFW Airport North station. Of course, Uber and Lyft are always options. Attending the event and want to get social? There’s plenty of ways to let your fellow avgeeks know about it! A Snapchat filter will be available to use on Sunday, as long as you are in the designated area whether it be walking up to Founders’ or at the Plaza, you should be able to swipe over and see the Dorkfest DFW filter. Want to let your friends know ahead of time? Visit the Facebook event page, RSVP and you will have the option of updating your profile picture with the Dorkfest DFW filter and will also be available for use on Facebook Stories. While there is no official hashtag for the event, we do encourage you to tag @crankyflier and @DFWAirport in your social media channel of choice. Thank you to our two primary sponsors for making this happen: Dallas/Fort Worth International Airport and American Airlines. I’d also like to thank all of the companies donating prizes for the raffle to help make this an unforgettable event.